A new 9.5 litre keg with ball-lock gas in and beer out posts, and lid with pull-ring pressure relief valve. Fed up of washing bottles? This starter kit will let you keg your beer instead! 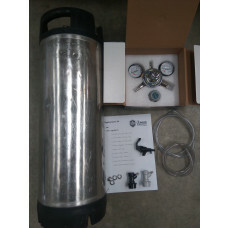 To use this to carbonate and serve your own beer, you will also need a CO2 gas bottle (various sizes available) OR a sodastream adaptor so you can use sodastream bottles. You will need to provide your own beer and a fridge to keep the keg cold! New commercial 20 litre stainless kegs with D-Type spear included. These 15 Litre wash out kegs are the easiest way to clean out your beer lines. 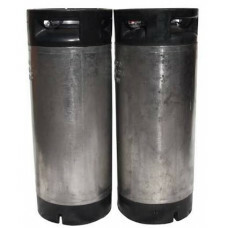 Simply fill the wash out keg with beer line cleaner (we recommend sodium percarbonate) hook up your keg coupler just like you would an ordinary beer keg. 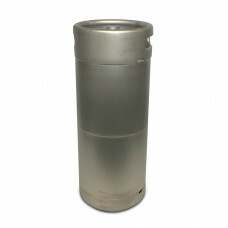 19l ball lock keg – 21cm wide – used. Comes with a brand new replacement seal kit including ball lock post seals, lid seal, and diptube seals. If the seals it has are already good then you can keep these as spares! These are the "tall skinny" type with a diameter of 21cm-22cm, and a pressure-release valve for manual release of pressure. Kegs will require cleaning prior to use.